Here's to a new kind of snacking...healthy without sacrificing tasty! 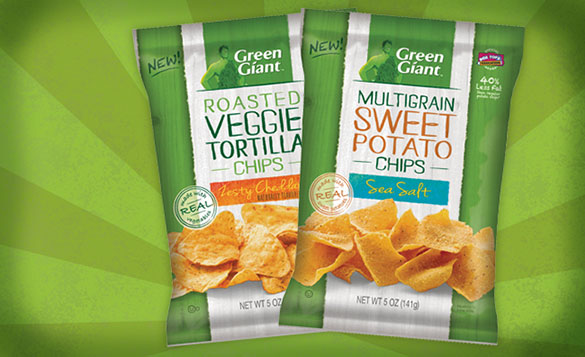 Don't fear the word "Veggie" in Green Giant Veggie Snack Chips, these 2 new snacks aren't your average health food. Roasted Veggie Tortilla Chips with Zesty Cheddar & Multigrain Sweet Potato Chips with Sea Salt are the two latest flavors to hit the snack aisle. The Sweet Potato Chips are my personal favorite: Multigrain benefits without a gritty, grainy taste or texture.